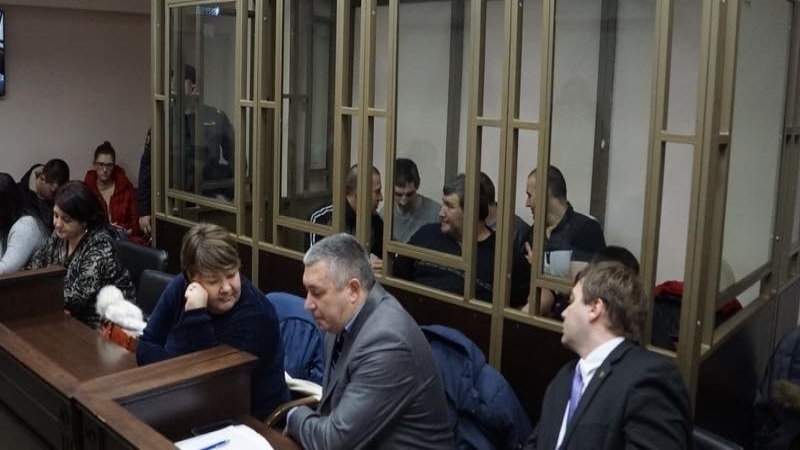 Another hearing of the "court" on the "Yalta group case" was held on April 16 at the closed session. Lawyers defending individuals involved in the Yalta group case, Emil Kurbedinov and Edem Semedlyaev, said that the prosecution witness in the Yalta Group case showed resilience and did not give accusations against Crimean Muslims, despite intimidation by FSB officers, the Crimean Solidarity human rights organization informed. According to lawyers, witness Enver Khalilov "said nothing but good things about the guys". Lawyer Edem Semedlyaev, noted that a search was conducted to intimidate the witness in his house. “This witness was searched by officers of the FSB on 11 February. They sought to intimidate him to obtain the necessary testimony for the FSB. But he turned out to be a stable person who refused to be under the investigation’s thumb, and gave only truthful testimony," he said. Lawyer Emil Kurbedinov noted that the questioning of the prosecution witness lasted about an hour, the rest of the time the "prosecutor" read out and so did not finish reading out the text of secretly recorded conversations, during which the defendants discussed politics, the problems of Muslims and the Crimean Tatars. "Like every one of us, they have a right to it. The prosecution is trying to present this as a conspiratorial meeting plotting a coup. We can only wonder how simple meetings are adjusted to serious accusations, as a result of which the guys are facing a minimum of 10 years of imprisonment," he said. At the "court" the prosecution witness Enver Khalilov was questioned, who positively characterized the defendants of the case Muslim Aliyev and Enver Bekirov. Reference: on February 11, 2016 several Muslims were detained in the occupied Crimea, including Muslim Aliev from Alushta, a resident of the village Krasnokamenka Enver Bekirov, a resident of Yalta Vadim Siruk, and Emir-Usein Kuku - a member of the Contact Group on Human Rights. On April 18 of the same year Arsen Dzhepparov and Refat Alimov were detained as well. Earlier QHA reported that the prosecution witness in the Yalta group case was questioned in a secret room.